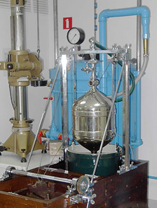 The Flow Measurement Laboratory offers numerous possibilities to verify, calibrate and conduct research on flowmeters for liquids and gases of various size and type. Laboratory classes provide students with first-hand experience and with the opportunity to explore methods used by scientists and engineers in their discipline. Compatible with larger industrial gas meters and gas flowmeters. The flow rate range rate is in the range of (0.5 – 6500) m3/h at atmospheric pressure with CMC (Calibration and Measurement Capability) equal to 0.25 %. One rotary meter DN 40 and 4 turbine meters (DN 50, 100, 150 i 300) are applied as master meters. They cover most flow rate ranges occurring in the industry. Master meters and auxiliary equipment (pressure and temperature transducers) is traceable to the national standards. This unique stand is designed for calibration of gas flowmeters and gas meters at high pressure of air, up to 40 bar, which makes it possible to investigate the influence of the gas pressure and density on the meter performance. Obtainable flow rate for standard conditions 0 ̊C, 101.325 kPa is in the range of (0.5 – 2000) m3/h. CMC is between (0.3 – 0.4) % depending on the master meter used (critical flow Venturi nozzle, rotary meter, turbine meter). Designed for meter calibration at low flow rates. The flow rate is in the range of (0.04 – 65) m3/h with CMC in the range of (0.18 – 0.25) %. The bell prover and auxiliary equipment (pressure and temperature transducers) is tracable to the national standards. 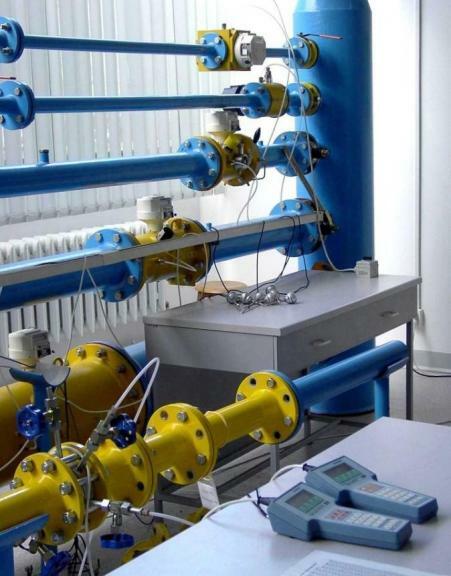 Designed for verification and calibration of flowmeters for liquids such as vortex, Coriolis, electromagnetic, turbine, mechanical oscillator flowmeters and many others. 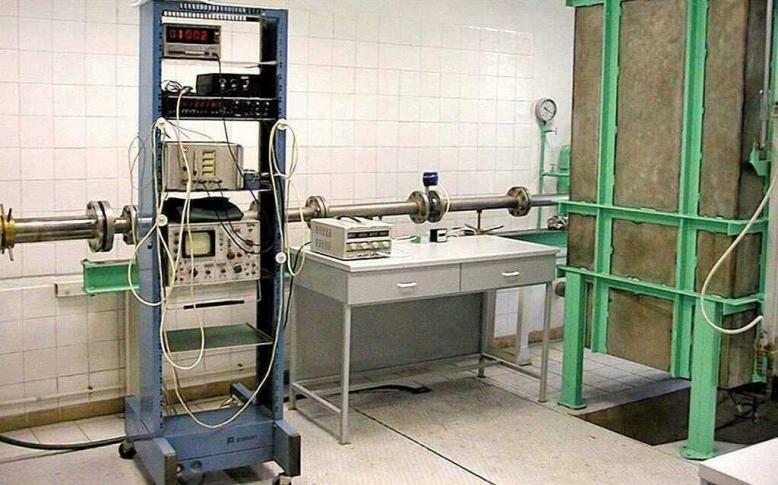 The flow rate is in the range of (0.1 – 65) m3/h with CMC equal to 0.05 %. The water flows from the gravitational tank situated at the top of the building. 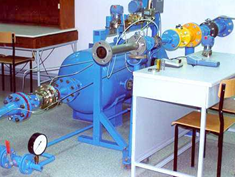 The flow rate is therefore stable, independent from pulsations generated by pumps. A fast, electromagnetically driven diverter enables synchronization measurement of time and volume. Therefore precise calculation of the mean flow rate is possible. Volumetric tanks (0.25 m3 and 1 m3) are installed. The facility is approved by Polish Central Office of Measures and is traceable to the national standards.